If people and communities are to thrive, education and job training are of critical importance. A workforce armed with the skills needed to succeed in the jobs of tomorrow is important not only to the success of our business, but also to a country’s ability to compete in the global marketplace. We focus on improving instruction in the key subjects of science, technology, engineering and math (STEM) and on helping provide the career and technical training that can lead directly to well-paying jobs. Working with our partners, we take a comprehensive approach to investments in education by getting students excited about STEM and encouraging them to pursue STEM courses and, ultimately, STEM careers. We support educational standards and proven curricula that promote project- and problem-based learning. We also support teacher training, provide classroom resources, fund outside-of-school activities, and form partnerships with universities designed to strengthen faculty, curricula and student development. In addition to helping the communities where we operate – these investments help us. Tomorrow’s Chevron engineers are today’s schoolchildren. We cultivate partnerships to improve education. We partner with colleges, universities and associations around the world. We help fund classroom projects at public schools. We're building the skills for the workers of tomorrow. 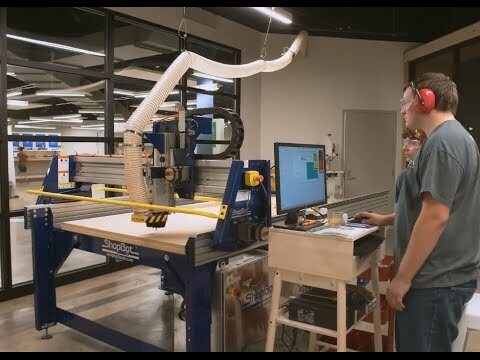 The Fab Lab Permian Basin and the mobile Fab Lab at Odessa College provide workforce development education programs tailored to prepare participants in STEM-related careers. Beyond the Beaker is a program for secondary students that raises awareness of and encourages participation in STEM-related careers. It also promotes the positive impact STEM skills can have on any career. The Aboriginal Education Program aims to create a measurable change in the level of engagement in science education among Aboriginal schoolchildren in remote communities. Scitech overcomes the geographic, cultural and socioeconomic barriers by traveling to remote locations to involve Aboriginal schoolchildren in culturally appropriate STEM education. The Science Teacher Support and Mentor Program helps primary and secondary school teachers in Pilbara communities enhance their approach to scientific knowledge and increase their confidence when delivering science programs in the classroom. Brazil Qualifica Chevron provides technical, professional and soft skills training to youth in Rio de Janeiro. The objective is to elevate participants’ potential for employment. From 2015 through 2017, more than 250 students earned technical qualifications in welding, blowtorching, environmental inspection with an emphasis on solid waste management, and occupational health and safety. In Indonesia and Saudi Arabia, Chevron helped found and develop and helps fund polytechnic schools to train students for jobs in the industrial sector. Launched in 2008, the Saudi Petroleum Services Polytechnic in Dammam was the first of its kind in the kingdom. Its first class of field service professionals graduated in 2010. In Indonesia, Chevron built and sponsors two polytechnic schools. Riau Caltex Polytechnic was built in 2001, and Politeknik Aceh was built with our partners in the long-term recovery effort following the 2004 tsunami. More than 3,300 students have graduated from these two schools. Also in Indonesia, Chevron offers the Darmasiswa Chevron Riau scholarship program, which helps talented local students access higher education. Since 2001, the program has helped nearly 1,100 students. In 2004, Chevron, Mississippi State University and leaders in early childhood development and education founded Excel by 5, an early childhood education initiative that helps children be happy, healthy and ready to learn at age 5. Chevron’s continued participation and financial support (more than $2 million) has aided more than 42 Mississippi communities to become “candidate” or “certified” in Excel by 5. By encouraging best practices in early learning and child development, Excel by 5 benefits the children of Mississippi families today and sets the stage for a bright tomorrow. We understand the importance of role models in inspiring young women to pursue STEM education and careers. Take 15 seconds to record your video thanking the role model who inspired you.